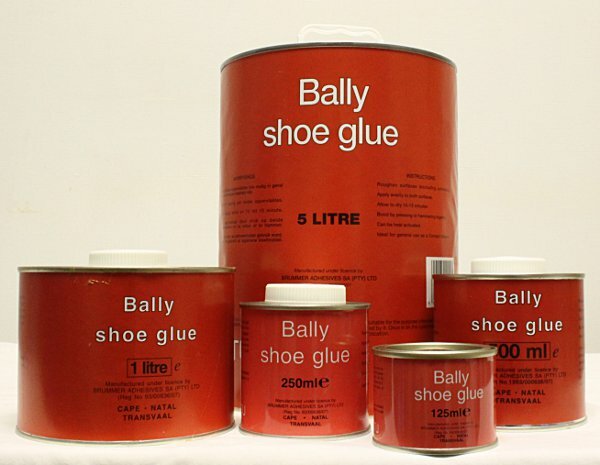 BALLY SHOE GLUE is a fast drying solvent-based adhesive especially suited for bonding of leather. It is also suited for bonding of wood, cardboard and other natural porous material. It has a high solid content with exceptional bond strength and economical surface area coverage. Stir BALLY SHOE GLUE before use. The adhesive is best applied by brush or notched spatula. Apply product to both surfaces. Allow an open time of 20 – 30 min. Apply pressure to bond surfaces. Ensure a perfect bond by means of short pressing or firm hammering. Gluing of leather soles and leather in the repair and manufacturing industries. Gluing rubber profiles to wood, metal and glass. General application with chipboard, cork panelling and wood products. Contains solvents which evaporate rapidly hence the receptacles used are to be closed after each removal of material. If thickened, can be diluted with Brummer Neoprene Solvent in order to re-establish its original viscosity. Hands, spatulas and tools may be cleaned with Brummer Neoprene Solvent.